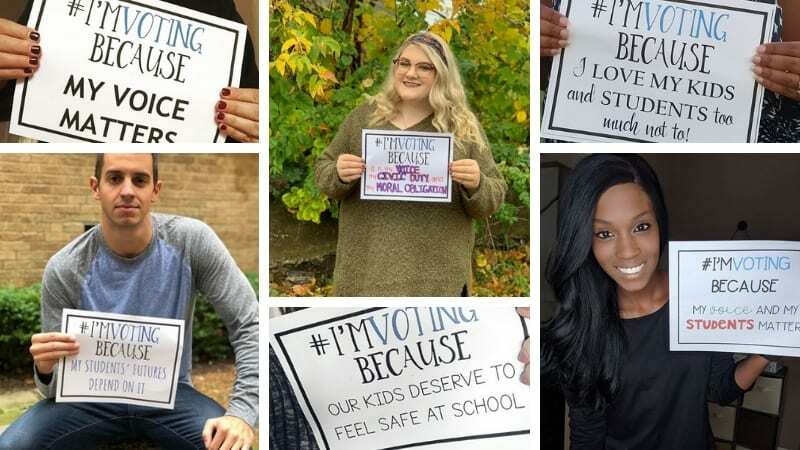 With the midterm elections happening on November 6, educators across the country are turning to Instagram to share the many reasons why they plan to vote. 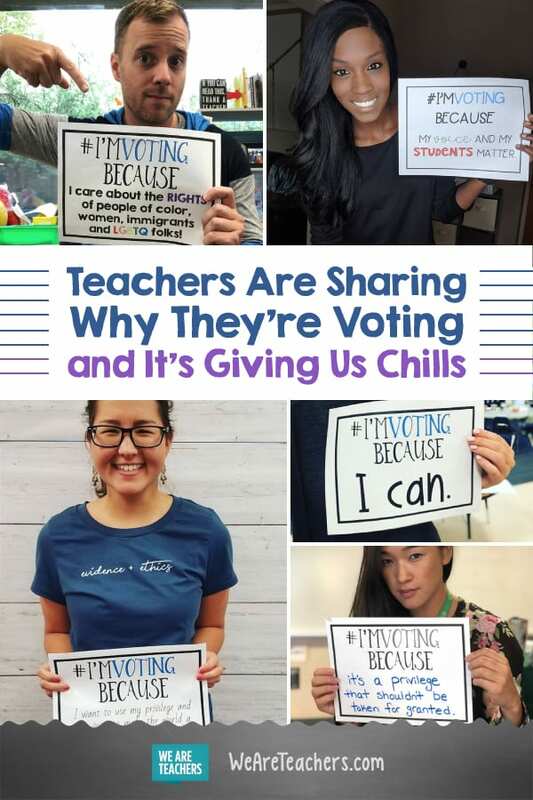 Using the hashtags #imvoting and #teachersvote, hundreds of educators have shared their motivation for participating. And here’s a hint: the driving force for most educators is the desire to see better lives for their students, at home and at school. This will come as little surprise to anyone who’s spent time in a classroom—teaching inherently is political, due to the complex web of stakeholders, laws, and meeting student needs. The #imvoting campaign was started by Instagrammers Becky and Greg (also known as “The Class Couple”), a husband-and-wife team who teach first grade and high school social studies, respectively. “This could be the most important midterm election in our lifetime,” says Becky in her kickoff post. “And we need our teacher voices to be heard.” Becky and Greg are offering the #imvoting sign as a free download here. 29 days until Election Day. #imvotingbecause our students are depending on us to vote for candidates who value and respect us all. We’d love to hear—what’s your take on the #imvoting campaign? Come and share in our WeAreTeachers HELPLINE group on Facebook. Plus, other viral hashtags: #armmewith, #teachersget2, #myfirstclassroom.